Tesla Inc. (TSLA.O) says owners of its electric vehicles have driven 1 billion miles using the company’s Autopilot driver-assistance feature -- a significant milestone for the automaker, which uses the collected data to improve the software as a competitive advantage. Tesla, which announced the mark in a Tweet today, has installed Autopilot hardware on every car it’s produced since October 2014. Autopilot is designed for use on highways, but the vehicles are operating under diverse road and weather conditions around the world. The resulting trove of real-world miles acts as a feedback loop to the algorithms that are constantly training the fleet of Tesla vehicles on the road how to behave. In the race toward full autonomy, not all miles are created equal. There are semi-autonomous as well as fully self-driving ones; real-world versus simulated; and those racked up on highways versus those in trickier urban environments. Chief Executive Officer Elon Musk has promised to demonstrate a fully self-driving cross-country road trip from Los Angeles to New York, but the timeline for when that may happen has continually slipped. Tesla tells drivers they must keep their hands on the steering wheel and monitor the system at all times, but Autopilot has come under scrutiny from regulators and consumer advocacy groups, including after a fatal crash in March. 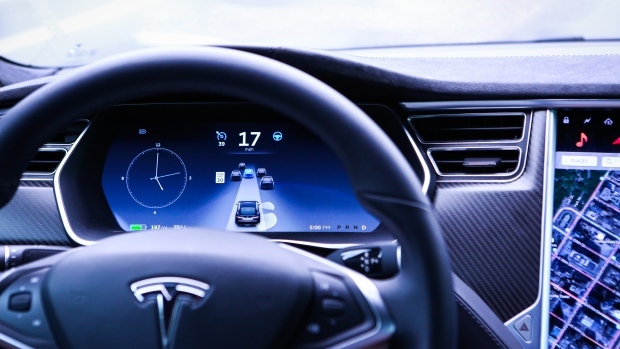 In May, Musk dismissed the notion that Autopilot users involved in accidents have the mistaken belief that the system is capable of fully-autonomous driving.